Joy Clair Living Water stamp sets. Both sets are gorgeous! 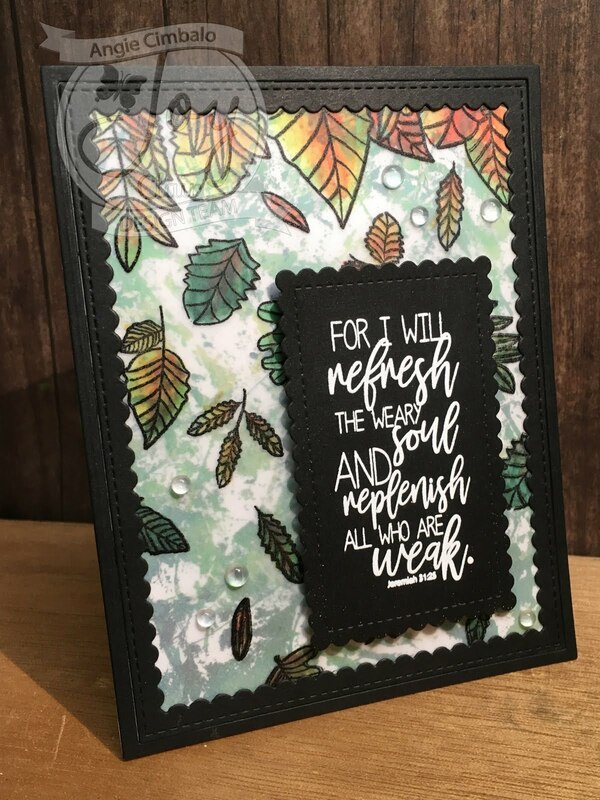 I used the Joy Clair Falling Leaves Background with just one sentiment from Living Water set. Next I added the vellum to the foiled background piece and added two rectangle dies to it. One A2 size frame with an MFT scalloped rectangle frame inside of it. I used another MFT rectangle die for the sentiment after heat embossing in in white. I popped the sentiment up on fun foam and then added Studio Katia water droplets on the card. I'm so glad I decided to use that foiled panel with the vellum over it. It really helped soften the harsh edges I had gotten with the glue and foil. Just shows you, hold on to pieces you make that you think didn't work for your project because they might work for a different project! Happy crafting my friends! 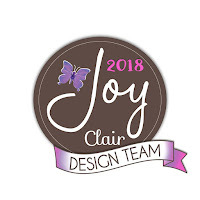 And don't forget to check out all the new released stamps HERE at Joy Clair stamps!